Marcus asks: Where did the words flotsum and jetsum come from? Bumping into a rock or a reef, war, swamped by rough weather or high waves, pilot error or pirates, there are a variety of ways a ship can sink. After it does, depending on whether it floated out on its own, was thrown overboard or sank to Davy Jones Locker, the equipment, cargo and bits of ship that leave a wreck have distinct names, with the distinction classically being important in maritime law. Flotsam denotes that wreckage from a ship that is later found floating on the sea’s surface. The word traces its roots to the early 1600s and the Anglo-French floteson, which derived from the Old French flotaison (meaning “a floating.”) The word in English was spelled flotsen until the mid-1800s, when it took on its modern variant. As for other similar shipwreck terms, any wreckage from a ship that sinks is lagan (ligan), a word that apparently derives from an Old English (500-1150 AD) word that meant, among other things, to lie down and be at rest. 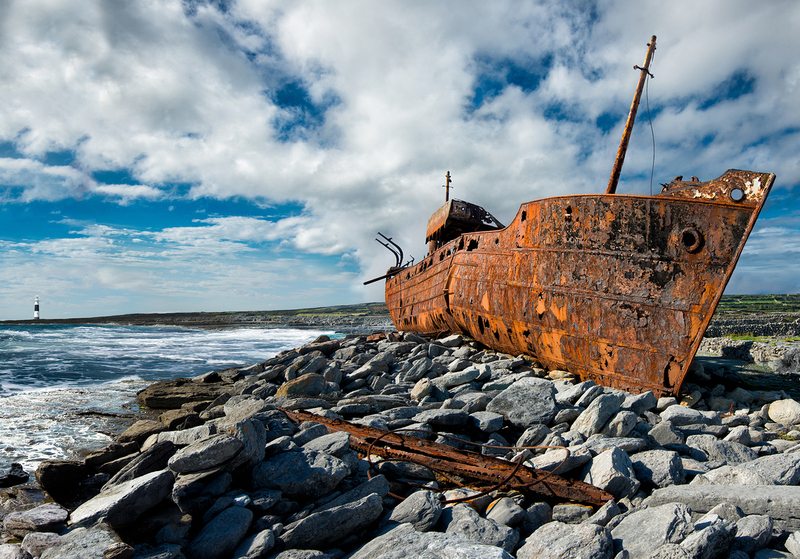 Wreckage that sinks to the ocean floor and has no hope of recovery is called derelict; this word traces its origins in English to the 1640s and is derived from the Latin derelictus for solitary and deserted. Its meaning of an abandoned vessel may be traced back to the 1660s. Researchers with the National Oceanic and Atmospheric Administration (NOAA) estimate that as many as one million shipwrecks remain underwater in the world’s oceans, and a majority of these remain undiscovered. For instance, during the 300-year Spanish plunder of the Americas, it is estimated that 10% of what was shipped off was lost; these wrecks are today collectively worth several billion dollars. At least one treasure hunter estimates that there remains approximately $60 billion worth of lagan resting on the floors of the world’s oceans. One recovered wreck in 2012, the H.M.S. Victory that sank in the English Channel in 1744, contained four tons of gold coins worth, if auctioned for their historical value, up to $1 billion, although the gold itself was only worth about $160 million. A risky business, treasure salvagers sometimes have their finds taken away. For example, in 2012, the U.S. Supreme Court affirmed the 2009 decision of a lower federal court that the treasure hunters’ claim to $600 million in found gold and silver was insufficient to defeat other claims by the Spanish government. Adding insult to injury, the treasure hunters (Odyssey Marine Exploration) were also eventually ordered to pay a portion of Spain’s legal fees in prosecuting the suit. Learning from the experience, before beginning a subsequent salvage operation of the Victory in 2012, Odyssey negotiated an agreement whereby they would document the site prior to salvage, and then recover items of historical significance that would be given to the claimant, Maritime Heritage Foundation (which received the title for wreck from British authorities). In exchange, the foundation will pay Odyssey for the items recovered. To get to very deep sites submersibles (both manned and unmanned) and equipped with cameras and tools may be used; however the expense of this equipment often outweighs the hope of any gain, and, economically speaking, for the most part recovering shipwrecks is “a losing proposition.” For example, it was estimated that the Deepsea Challenger expedition in the Mariana Trench in 2012, which involved a 70 minute round trip and no salvage, cost at least $5 million.